American Society of Golf Course Architects Past President Alice O’Neal Dye, ASGCA Fellow, has been chosen as the 2017 recipient of the Donald Ross Award. This award, given annually since 1976, is presented to a person who has made a significant contribution to the game of golf and the profession of golf course architecture. The Ross Award will be presented to Dye in May at the 2017 ASGCA Annual Meeting in Jupiter, Florida. “Alice Dye is a pioneer in our profession,” said President Greg Martin, ASGCA. “An outstanding golfer, Alice exhibited a great influence to develop courses that are true championship caliber. She and Pete Dye were a dynamic duo, a genuine partnership, in every sense of the phrase. According to a 2003 article by Ron Whitten (a fellow Donald Ross winner, in 1996) in Golf Digest, Pete Dye came home from work on a summer day in 1955 and said to Alice, “I’m tired of the insurance business. What I really want to do is build golf courses.” Pete, himself an elite amateur golfer, had been learning about golf course maintenance while chairman of the green committee at the Country Club of Indianapolis. Both Dyes gradually turned this interest into a profession, designing their first course, El Dorado, in Greenwood, Indiana, in 1959. Their commitment to golf course design was cemented after a tour of Scottish golf courses the Dyes undertook after Pete competed in the 1963 British Amateur. They brought home the ideas they were saw on the linklands of Scotland. A leader in golf administration, Alice Dye has served on the USGA Women’s Committee, the LPGD Advisory Council, the USGA Women’s Handicap Committee and as an independent director on the PGA Board. She has received numerous awards and honors, including induction into the Indiana Hall of Fame, The Heritage of Indianapolis Award, the Don Rossi Award for Lifetime Contributions to Golf, the Women’s Western Golf Association’s Woman of Distinction Award, the PGA of America’s 2004 First Lady of Golf Award and independent director on the PGA Board. Her service to ASGCA and the profession of golf course architecture is extensive and influential. She served as the first female ASGCA President in 1997-98, setting an example as a hands-on volunteer leader during her tenure on the Executive Committee. And she and Pete over their decades in golf course architecture have mentored scores of architects, builders, superintendents and others in many capacities in the golf industry. 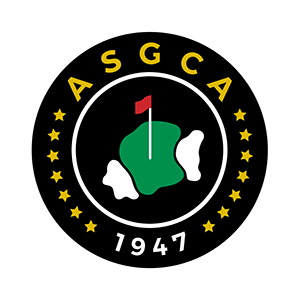 Alice Dye joins an impressive list of ASGCA members who have received the Donald Ross Award, including Robert Trent Jones, Geoffrey Cornish, Pete Dye, Arnold Palmer, Jack Nicklaus, Michael Hurdzan and Rees Jones. Alice lives in Indiana and Florida with her husband, Pete. They have two sons, Perry and P.B., who are also ASGCA members. The Donald Ross Award is presented by the ASGCA Awards Committee, co-chaired by ASGCA Past President Steve Smyers, ASGCA, and 2013 Ross Award recipient Rees Jones, ASGCA. For more information on ASGCA, visit www.asgca.org, call (262) 786-5960 or e-mail info@asgca.org.